Home Blog Travel Travel Tips Don't miss - Seasoned flight attendent shares his ultimate travel advice. Don't miss - Seasoned flight attendent shares his ultimate travel advice. After more than 10 years of flying for United Airlines, this seasoned flight attendant has seen and experienced it all! 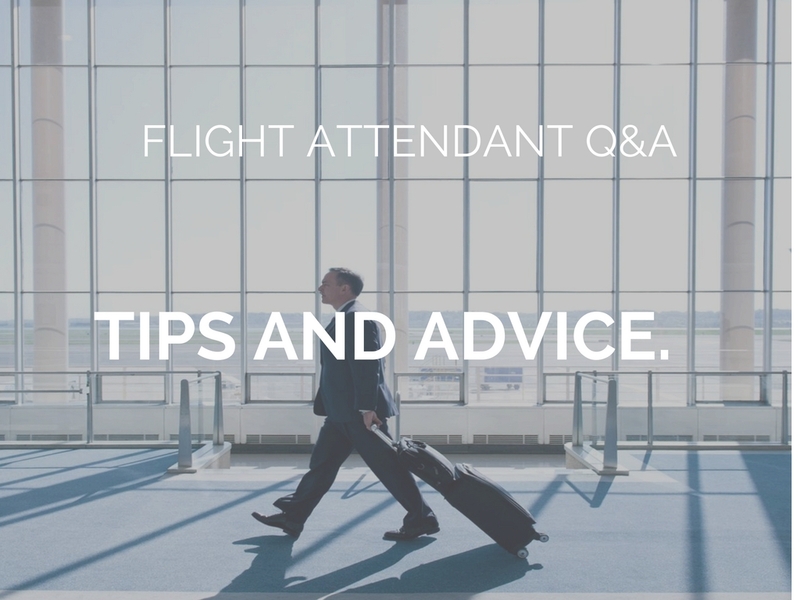 To help you get the best in-air experience, we asked him to share his advice and top travel tips to improve your flying experience. Q. Lets face it, flying can be miserable these days. What travel advice can you give to help passengers make their flight more enjoyable? A. Always bring something comfortable to wear or use as a blanket or pillow. As a guy, I almost always carry a light leather jacket or a cashmere or wool sweater. Women can get away with a bit more, using a better throw or pashmina as a blanket or pillow. Plus that can add a bit of color to your wardrobe! One thing people often miss is keeping their smaller bag down beneath the seat in front of you. Some think it’s better to have the extra legroom, but in reality on long haul flights it can make things a little more comfortable to have something to prop your feet UP on. Make sure you take your shoes off before using your bag this way. Q. Help, I am stuck in coach, is there anything I can do to get upgraded? A. These days, unfortunately when flying domestically, no. If (on the odd chance) there is an open seat in the forward cabin a flight attendant can be let go for doing an “onboard upgrade”. However, bringing treats to the crew, saying hello when you board and using manners will get you a long way with the flight crew. Just be nice. We love that and want to help you enjoy your flight regardless of where your sitting! Q. Do I really need to dress to impress? A. More often than not, crew can be much kinder to those that bother to look like they showered in the morning before their long haul flight. We know you want to be comfortable, but pajamas and slippers? Really? As I normally fly the Purser position I almost always make it a point to say to my well dressed passengers that they made the “best dressed list” on the plane that day. That always brings a smile! Q. How can I make flying coach more enjoyable? A. Simple... be prepared! Use the bathroom before you board the plane. Bring water (it can be a long time before the first chance for a drink) and any special treats you might like. Bear in mind, however, smelly food is not wise! Please leave your tuna sandwiches for your own kitchen counter. If you have dietary restrictions, do not expect the crew to be able to provide your kosher, Muslim, gluten free, low sodium, diabetic meal for you. We simply don’t have those items on board any more. If traveling with children, bring their usual toys and treats (with in reason) and games or iPads for them to watch or play. Don’t forget the headphones. Q. What you recommend I do to avoid jet lag? A. Before you depart starting adjusting yourself to the new time zone. Sleep as much as you can on the aircraft avoiding sleeping pills or excessive alcohol and hydrate with lots of water. When arriving into the new city, shower, get a strong cup of coffee or tea and get as much natural sunlight as possible. If you must nap, set an alarm and do so for no more than 30 minutes. Go to bed at a regular time and set your alarm again the next day. Within about three days, you should have adjusted. Q. What is the craziest thing you have seen on a flight? A. A goose as an “emotional support animal” on a red-eye flight across the country. Every once in a while the goose would honk, much to the chagrin of the passengers around it. Lets talk Passenger Do's and Don'ts. Don't - Please do not touch us. Would you poke the waiter at Chili’s in the side as they walk by? We are there to assist you, a simple "excuse me" will get our attention. Do- Please, please wear your shoes in the bathroom. That is not WATER on the floor. Don't - Drink too much alcohol. We know you want to enjoy your flight, please drink in moderation and stay hydrated. Experiencing several cities in a short time frame. For example in a short 48 hours I can have breakfast in New York and Dinner in London. Followed by breakfast in London, and a matinee in the West End. The next day breakfast in London, lunch in New York and be home to El Paso in time for bed. Whew! Having spent three years in Wiesbaden, Germany (a small town just west of Frankfurt) I have to say Germany is one of my favorite countries to visit in the world. As far as cities, Vancouver, BC and Sydney, Australia are front runners along with New York, New York!